FREE & SECURE - High speed Plugin internet access with SECURE password protected wireless connection furnished. Gulfview is ideal for couples or small families. Our 2nd Floor unit is a 1 bedroom, 1 bath, condo (approximately 650 sq ft.) which comfortably accommodates 4 but will sleep as many as 6, with a queen-size bed, premium queen sofa sleeper (cozy mattress technology 9 inches thick)and built-in hallway bunk beds. Rejuvenate your family & relax in this quiet, family-oriented private resort with everything you need for the ultimate Florida vacation with a PRIVATE BALCONY & PRIVATE GATED BEACH. Located at 2830 Old Highway 98 in Destin, it's one of the best deals around. This newly renovated unit is clean, comfortable, cozy, and only 100 steps to the white sandy beach of the Gulf of Mexico. Plenty of restaurants such as Hard Rock Cafe, Fudpuckers, Pompano Joes, Mcguires Irish Pub, The Back Porch, Kenny D's, Captain Dave's, The Crab Trap, etc. Situated between the Destin Commons Mall and Silver Sands Outlet Mall on Scenic 98. So, come enjoy the BEST SEAFOOD IN THE WORLD, explore fun shops and boutiques or simply RELAX on the white sandy beaches. Keywords: 2nd Floor Unit Beach View Condo. Completely renovated kitchen with granite .Two televisions: 43”Smart TV in living room, 32' Flat Panel TV in bedroom. DVDs ,New appliances,newly painted through out, new furnishings, new linens. Beach service is included. (March-October 31st). We are from Louisville KY. We frequently vacation to Destin Florida and have always dreamed of owning our own place in Destin/Miramar Beach area. Now our dreams have come true. 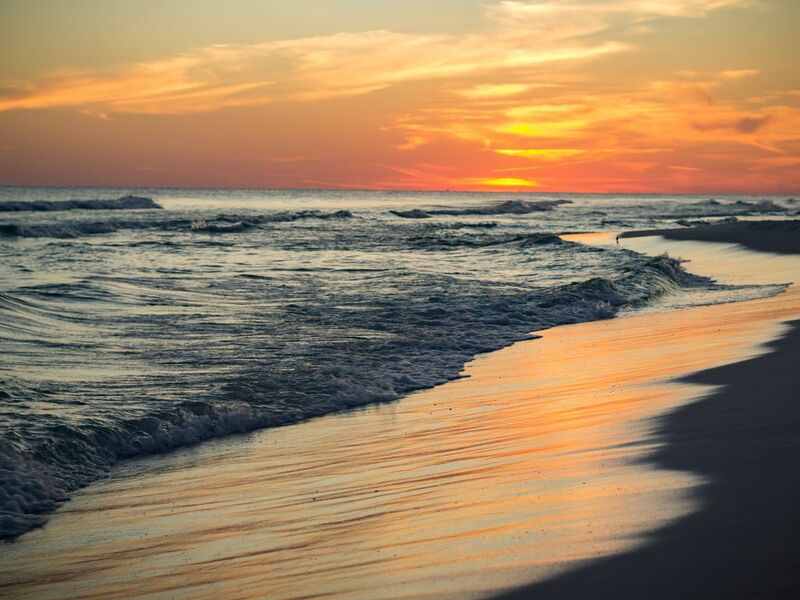 We would like to share our property with you so you can experience all that Destin Florida has to offer and make great memories with your family here. We welcome you to enjoy yourself in our home away from home,while creating lifetime memories with your family at this great location! Steps away from the ocean and private gated beach, two pools and a hot tub. Great restaurants and attractions close by too! Great view of the Beach! 100 Steps to the Gulf of Mexico and the beautiful white sandy beach! Condo is 100 steps to the beach .Gulfview has its own gated beach on the Gulf of Mexico. Great view of the Gulf of Mexico from the balcony.Less than 100 steps away to your own private beach! Our gated beach is located across Scenic 98 in front of the property. Private gated beach with swimming, snorkeling & jet-skiing,Restaurants: Pompano Joe's, Captain Dave's and Kenny D's within walking distance. Silver Sands Outlet Mall & Destin Commons Mall just 2 miles away. Nearby Golf courses within 1-2 miles. Big Kahuna water park, Recreation & Amusement Parks closeby.